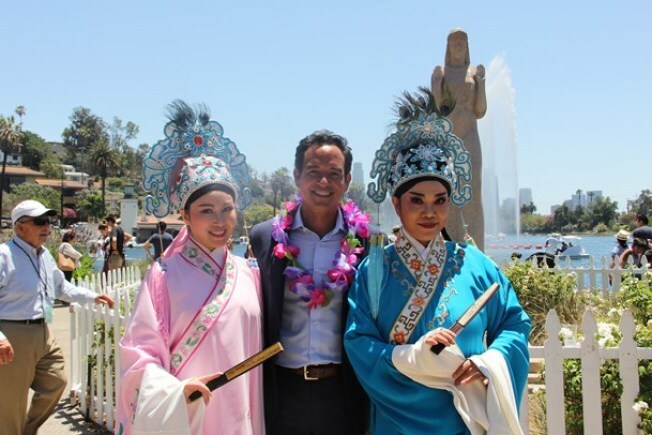 NBC4 Today in LA Co-anchor Adrian Arambulo was the emcee of the opening ceremony of the 38th Annual Lotus Festival on July 14, 2018, a large-scale event organized by the City Of Los Angeles' Department of Recreation and Parks. More than 100,000 people come together each year to celebrate Asian American and Pacific Islander communities and enjoy many other cultures, traditional foods and entertainment at Echo Park Lake. The ceremony included a tribute to this year's host nation of the People's Republic of China, musical performers and several honorees from the community.